Google has announced via Google+ that the Nexus 7 4G LTE is now available for purchase from the Google Play Store in the US. It will be available in the T-Mobile stores next month. This Google Nexus 7 4G LTE features a 7.02 inch 1080p HD IPS screen offering a resolution of 1920 x 1200 HD display (323 ppi) pixels and is powered by Google’s latest Android 4.3 Jelly Bean operating system. 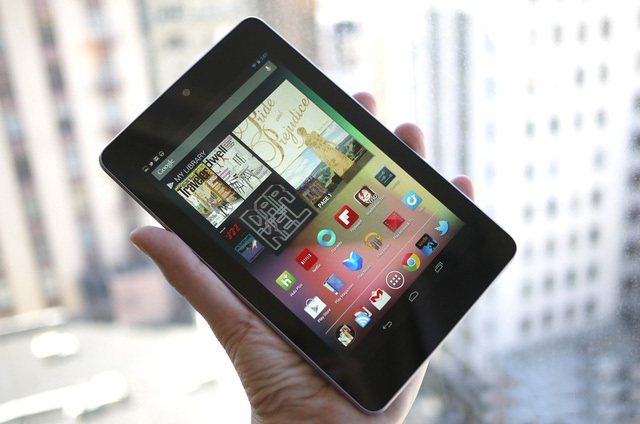 The Nexus 7 4G LTE is powered by a quad-core Qualcomm Snapdragon S4 Pro processor supported by 2GB of RAM. Other features of the Nexus 7 include 1.2 megapixel front facing camera for video calling and a 5 megapixel rear facing for video and photographs, either 16 or 32GB of internal storage available, dual stereo speakers and surround sound. Google Play Store has priced the Nexus 7 4G LTE as $349 for the 32GB model. The other two non-LTE versions fitted with dual-band WiFi are available with 16GB for $229 and 32GB version for $269.